Today is September 25th - that means only 3 more months until Christmas! 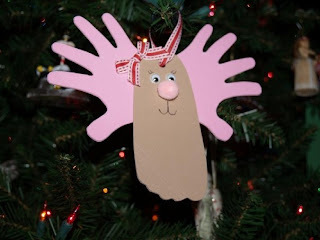 And, as promised, today I will start with some fun and easy Christmas crafts. If you are like me, you start planning well in advance to prepare for Christmas. Many of the craft stores already have their aisles brimming with holiday stuff, so now is the best time to stock up and get the best selection on Christmas fabrics, supplies and decorations. Today I am going to share with you my favorite craft to do with my kids each year - handprint/footprint ornaments. I have been doing one each year since my son's first Christmas, and they have become so much fun to look at each year to see how much the kids have grown. The kids also get excited to find out what new ornament they will be making. 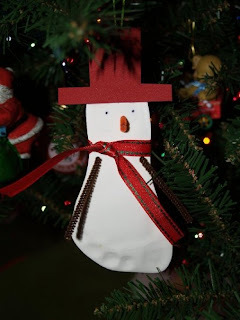 One of our first ornaments was made from paper, but most are made from craft foam. 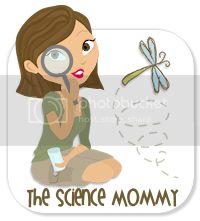 It's fun to use, comes in lots of different colors, is not expensive and holds up pretty well from year to year. 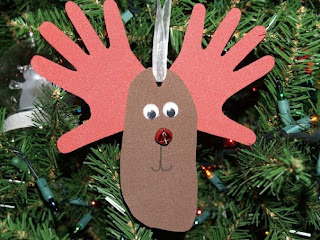 You will also need glue and some other decorative supplies like googly eyes, pom poms, pipe cleaners, tiny jingle bells, paint, markers, and ribbon or yarn. 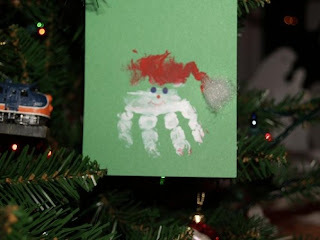 The first handprint ornament I did with my son was a handprint Santa. We used paint to create his handprint on paper, then decorated with drawing on a face and adding cotton ball fuzz for the hat. The paper version turned out cute, but is fragile. 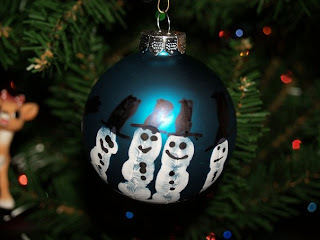 When we did this same ornament with my daughter we used craft foam, googly eyes and pom poms. 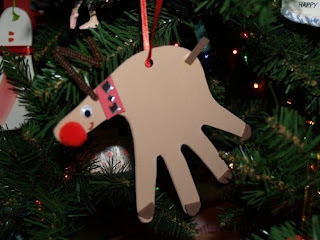 One of our favorite ornaments we've done has been the handprint/footprint reindeer. 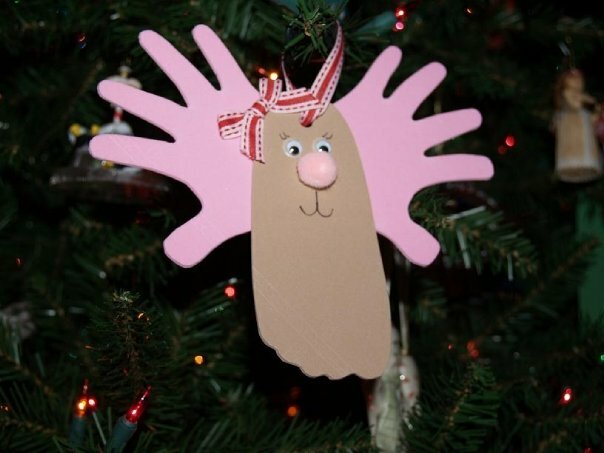 You use your child's footprint for the head and their handprints for the antlers. 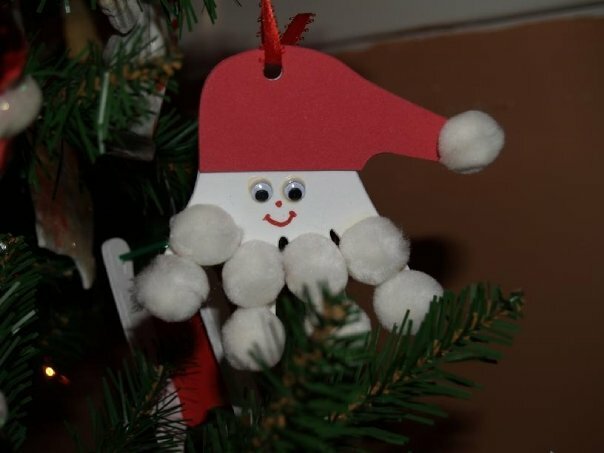 Again, we used craft foam for the handprints and footprints, pom poms and jingle bells for the nose, googly eyes and added a ribbon for hanging. They are just so cute! Another year we used just a handprint to make a reindeer, with the thumb being the head and the fingers being the legs. 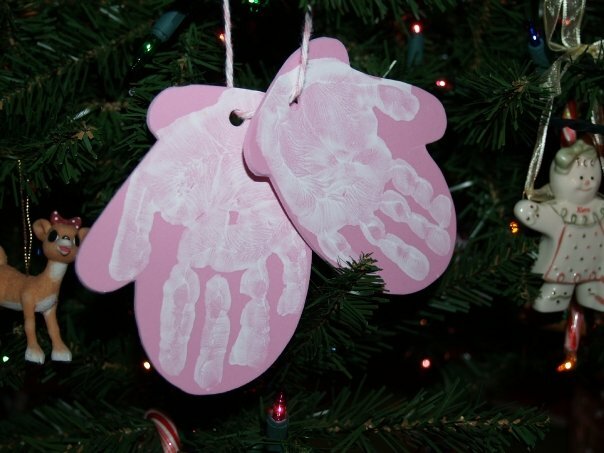 The one ornament that makes me cry every time I look at it, is the handprint/footprint angel that I did with my daughter for her first Christmas. It is so tiny and sweet and reminds me of just how tiny my baby girl was. For this one, I used Crayola Model Magic clay to make her footprint. It dries but stays flexible, so I could actually cut her foot shape out of the clay. We used craft foam for the handprint wings, drew on a simple face and used a very puffy pipe cleaner for the halo. We've come up with two different snowman ornaments. One uses the footprint as the body of the snowman. We also used the Crayola Model Magic clay for this one, adding pipe cleaner arms and a nose, a ribbon scarf and a foam hat. For the second snowman ornament, we used ball ornaments. I painted my son's hand and he carefully wrapped his hand and fingers around the ball, leaving his handprint. Once dry, he used paint markers to make each finger (and thumb) look like a little snowman. 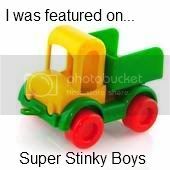 This second ornament is definitely geared towards older kids. One year, I was lucky enough to find a bunch of wooden star ornaments on clearance after the 4th of July at my local craft store. We used these for our fingerprint penguins. 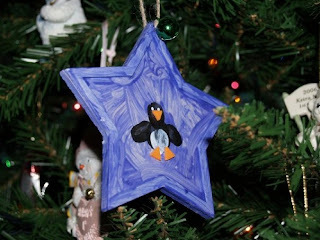 My son painted each wooden star ornament After they were dry, he made fingerprints using black and white paint to create these adorable penguins. Orange craft foam was added for the beak and feet. And last, but not least, is our mitten ornament. We used a mitten cookie cutter to trace the shape onto craft foam. After cutting out the mitten shapes, I painted my daughter's hand and she put her handprint inside each mitten. We punched a hole and tied them together. I'm glad I decided to do this one with her last year, because her hand just fit inside that shape. These ornaments are so easy to make and make great memories for years to come. I hope they give you some ideas that you might like to try this holiday season. I will be back tomorrow to share the poems we paired with each of our ornaments. Not only did they make a great collection for our own tree, but we loved to share them with other family members as well. I love them all, especially the ones with Magic Clay. Very creative! Thanks Amanda! I hope you can get some ideas from these! Thanks for sharing your creativity. These are really great idea!